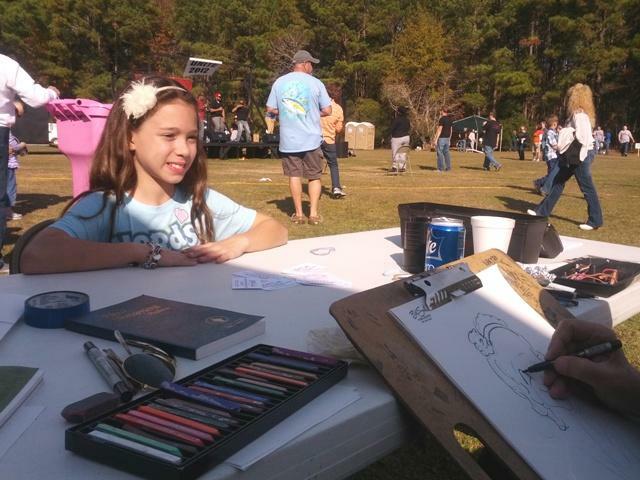 Caricature artists are usually found along boardwalks, places like Atlantic City and Myrtle Beach. 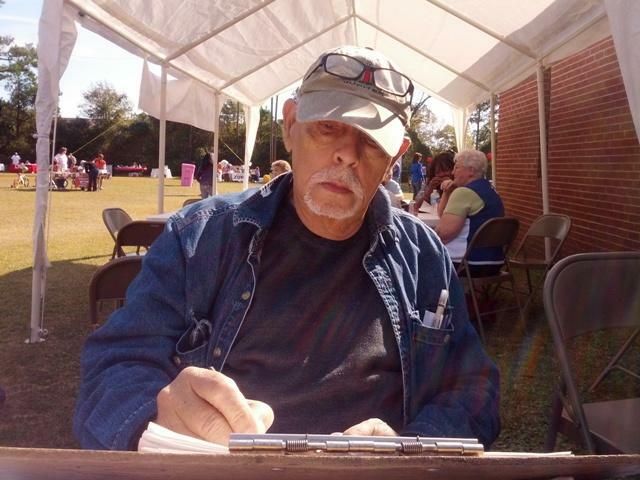 But most Saturdays in Wilmington, you can find Bill Smith at the Cotton Exchange. 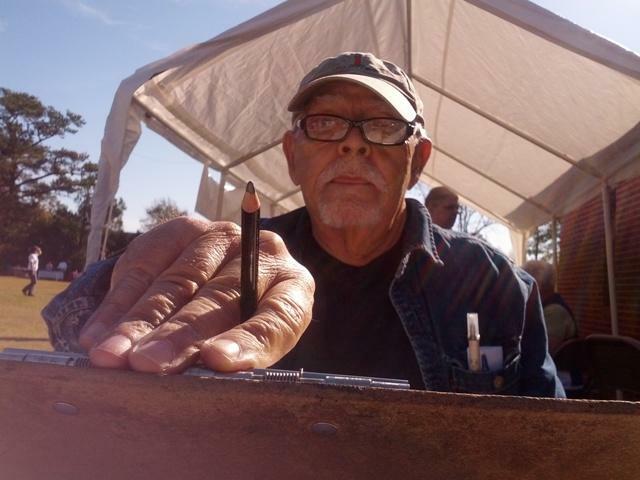 The 77-year-old caricature artist grew up in Long Island, New York. 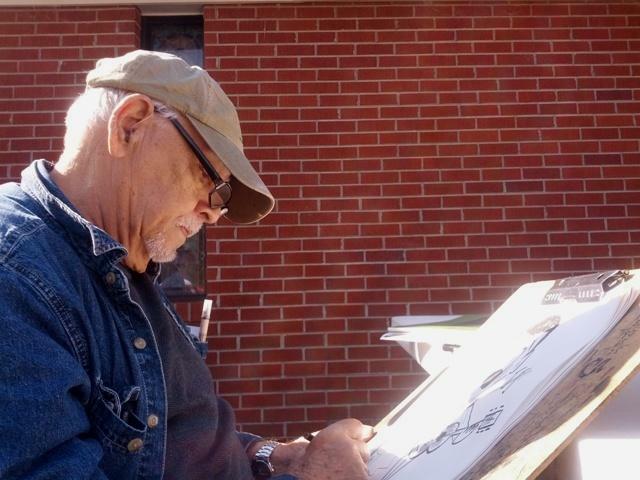 He worked as a sign painter for more than 50 years until computers put him out of business. Smith believes sketching the good side of people is more important than making fun of them. 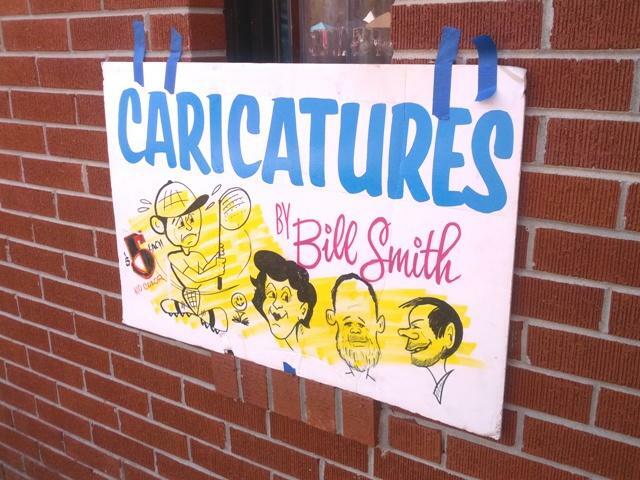 When the hand-painted sign business took a nose dive, Bill Smith taught himself to draw caricatures. He says the hardest part of the learning curve wasn’t the actual drawing. It was figuring people out. 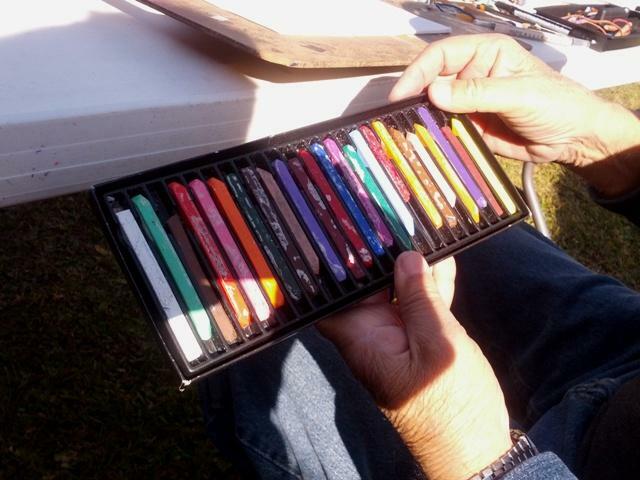 Smith sits quietly at a table scattered with paper, pencils and rubber bands. Leaning over a clipboard, he sketches furiously on a white page. Sometimes he wears his glasses, and sometimes they remain on top of his head, nestled in his white hair. 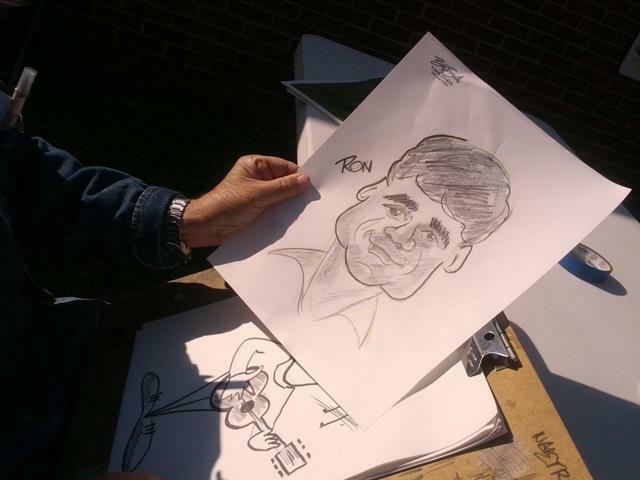 Smith explains a caricature like this: it’s just an essence of a person. And if you can’t tell who it is, then he didn’t do it right. Smith says he doesn’t want to be the best caricature artist in the world, but he’d like to be the fastest. He can clock in a caricature in two minutes. Smith spends most Saturdays in the Cotton Exchange, but he’s often hired for events like weddings, company parties, and fund raisers. He says people have more in common than they’d like to think. 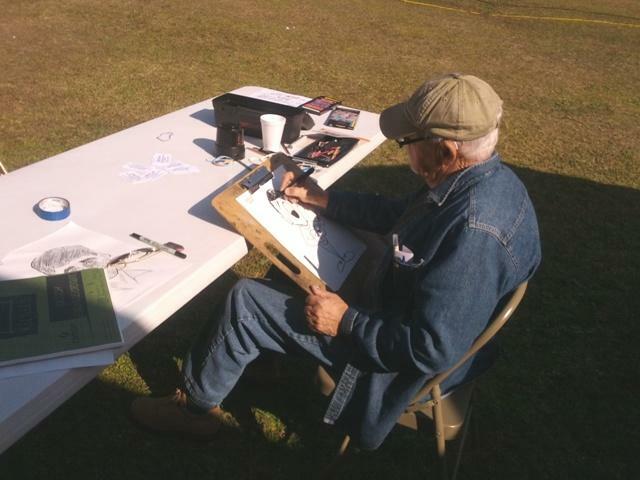 Smith draws many marines and their families who travel down to Wilmington from Jacksonville on the weekends. He sometimes works in assisted living homes, drawing people who are diagnosed with Alzheimer’s and unable to keep hold of memories. Caricatures usually poke fun at physical features, but this has never been Smith’s aim. As a kid, he received a toxic immunization that paralyzed the muscles in his right eye. Smith makes a decent living drawing caricatures, but says he definitely doesn’t do it for the money.